Is It Time for Pre-Made Pizza Crusts and Dough Balls? 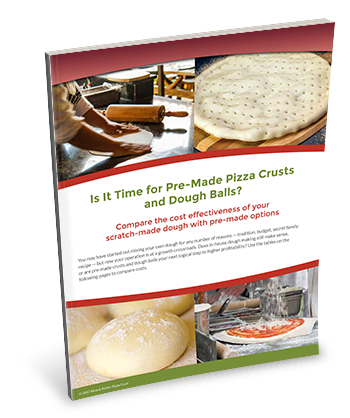 You’ve always mixed your own dough, but has your operation outgrown its cost effectiveness? Or perhaps you’ve opened a new location and are finding inconsistencies in your crusts. Complete the form to download your free copy now!